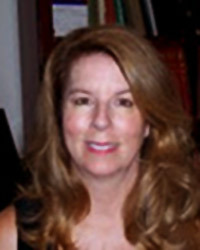 Susan Alcon is a native of Greensboro, North Carolina, where she currently resides with her husband and their two sons. Since receiving a bachelor's of music degree in piano performance from Salem College in Winston-Salem, North Carolina, Ms. Alcon has pursued an active piano teaching career. Currently Director of Salem College Community Music School in Winston-Salem, she serves as a member of several music teacher associations and as an adjudicator for area music festivals. Susan Alcon began composing at age ten and has made composition an integral part of her piano teaching. Her works are essentially lyric and feature lush harmonies, romantic melodies and occasional flavorings of jazz and pop. A pleasure to listen to and play, Susan Alcon's works are popular with students of all ages.